This edited volume advances existing research on the production and use of expert knowledge by international bureaucracies. Given the complexity, technicality and apparent apolitical character of the issues dealt with in global governance arenas, ‘evidence-based’ policy-making has imposed itself as the best way to evaluate the risks and consequences of political action in global arenas. In the absence of alternative, democratic modes of legitimation, international organizations have adopted this approach to policy-making. 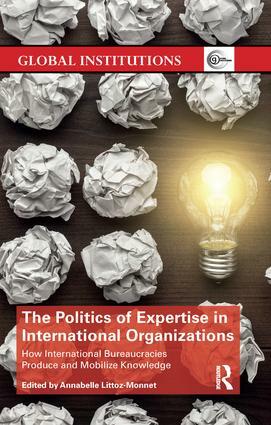 By treating international bureaucracies as strategic actors, this volume address novel questions: why and how do international bureaucrats deploy knowledge in policy-making? Where does the knowledge they use come from, and how can we retrace pathways between the origins of certain ideas and their adoption by international administrations? What kind of evidence do international bureaucrats resort to, and with what implications? Which types of knowledge are seen as authoritative, and why? This volume makes a crucial contribution to our understanding of the way global policy agendas are shaped and propagated. It will be of great interest to scholars, policy-makers and practitioners in the fields of public policy, international relations, global governance and international organizations. Do epistemic communities do the job?